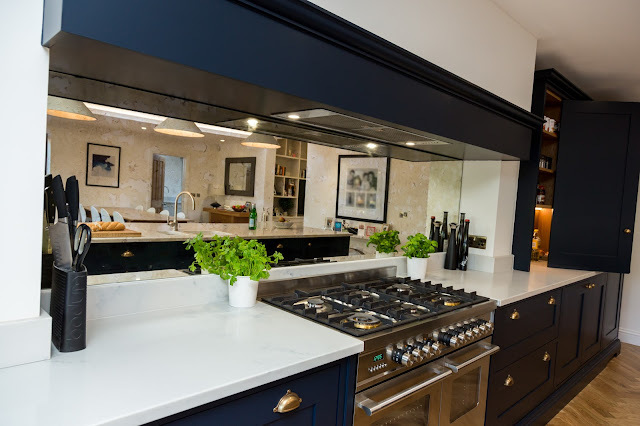 We love sharing photos of our kitchens! This one looks absolutely stunning, with a 4.5 m island that creates a huge ‘Wow’ factor when you walk in the room! 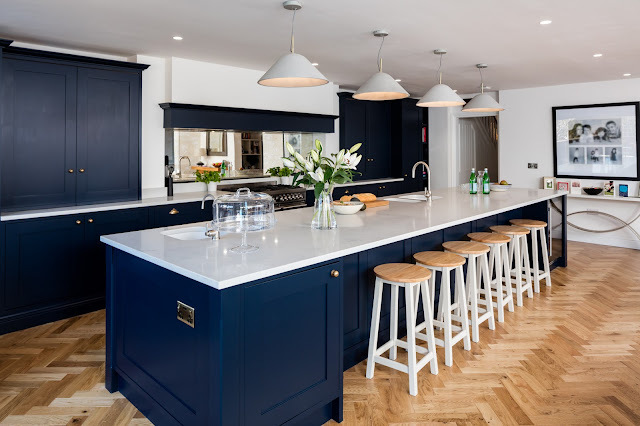 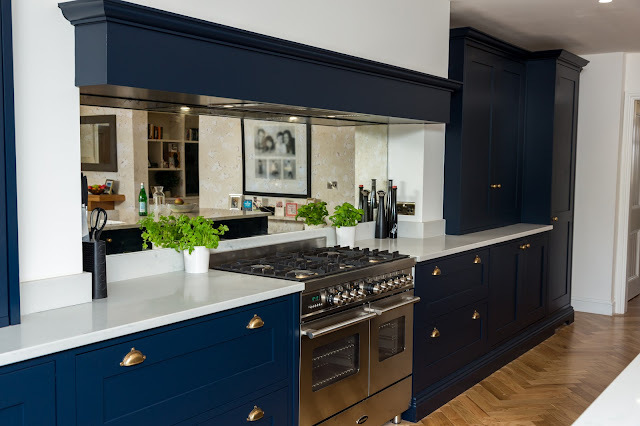 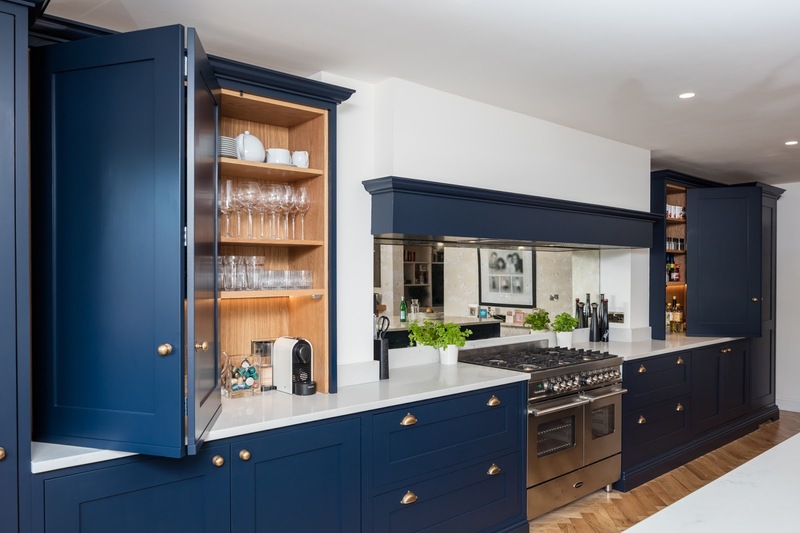 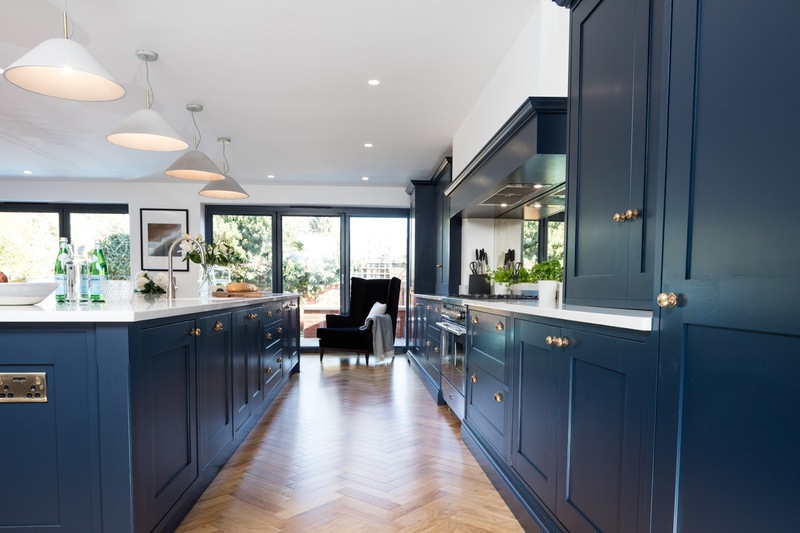 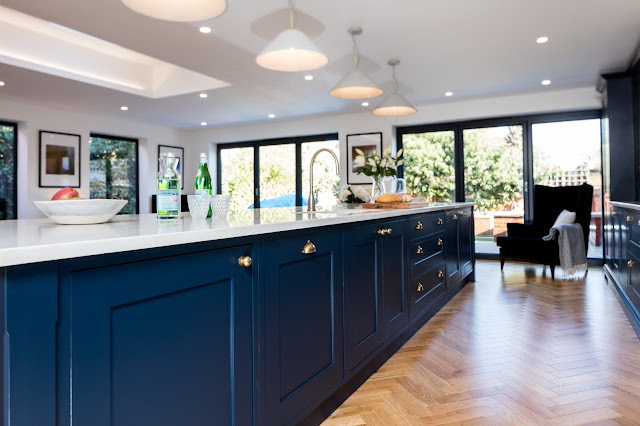 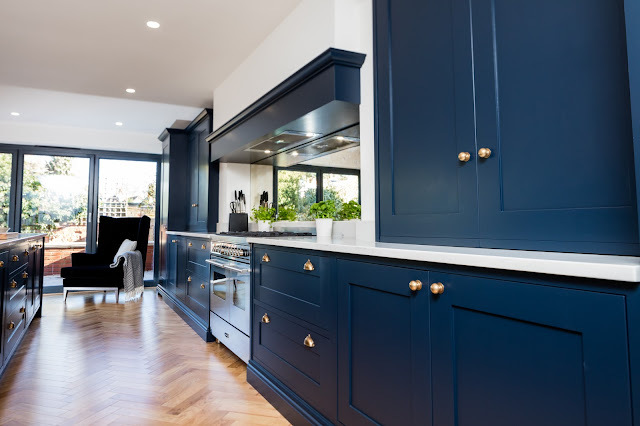 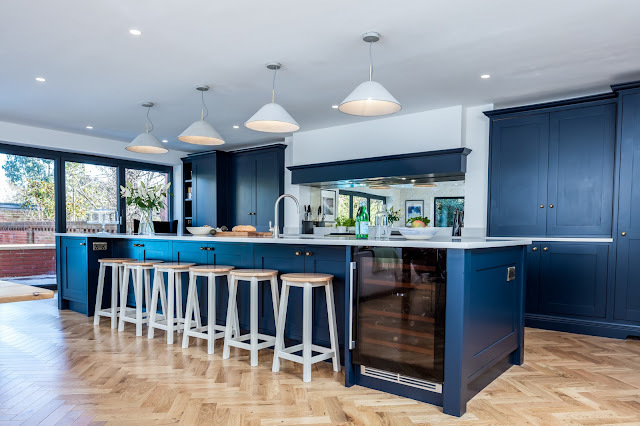 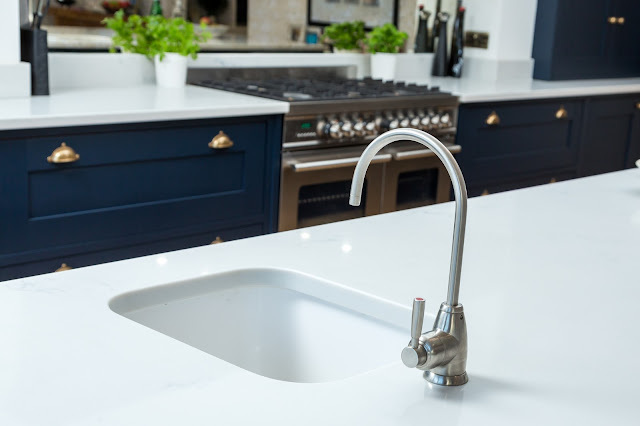 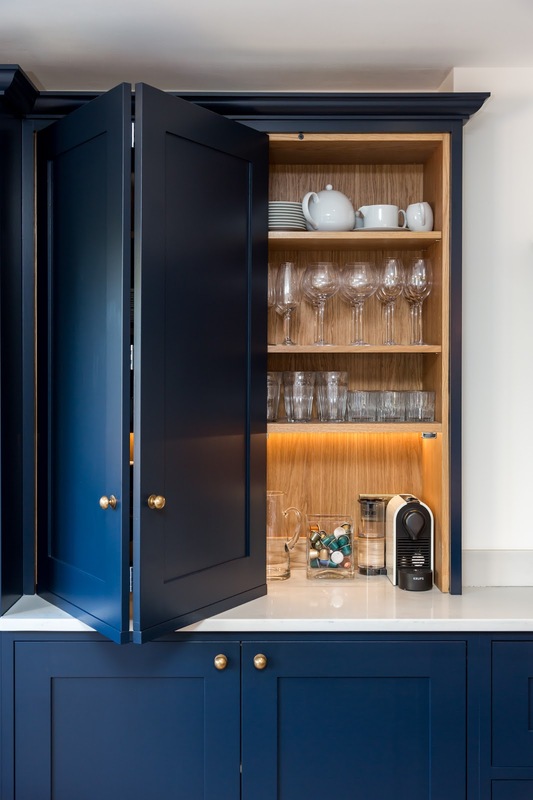 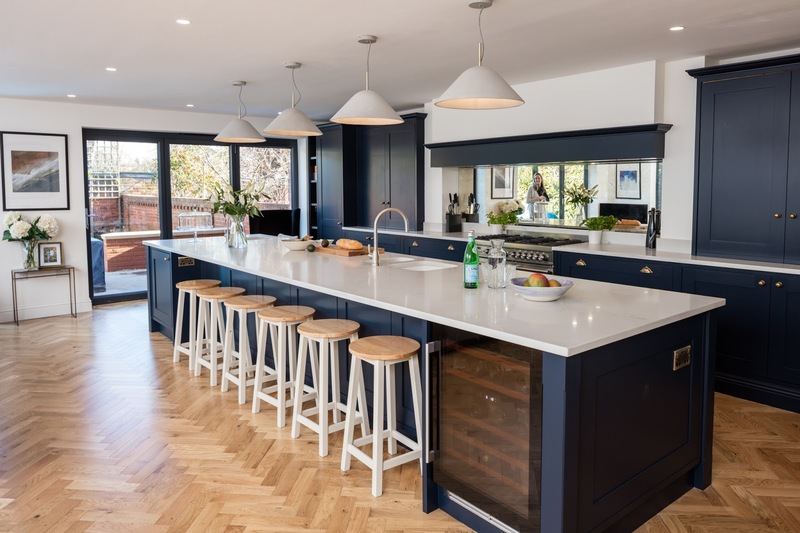 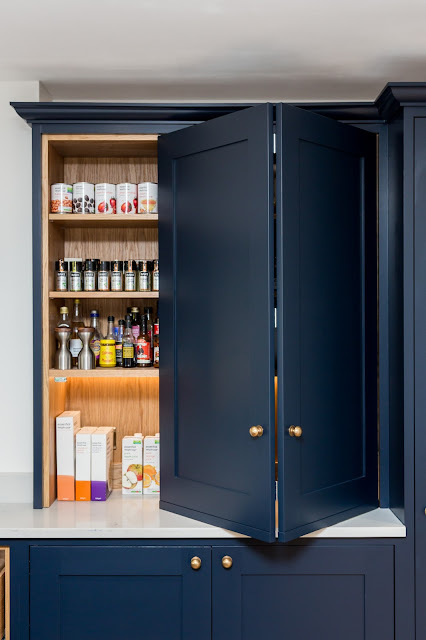 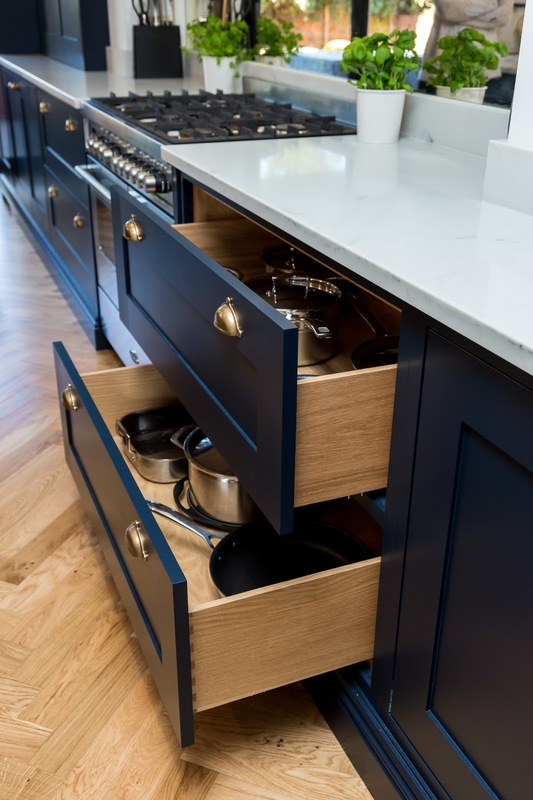 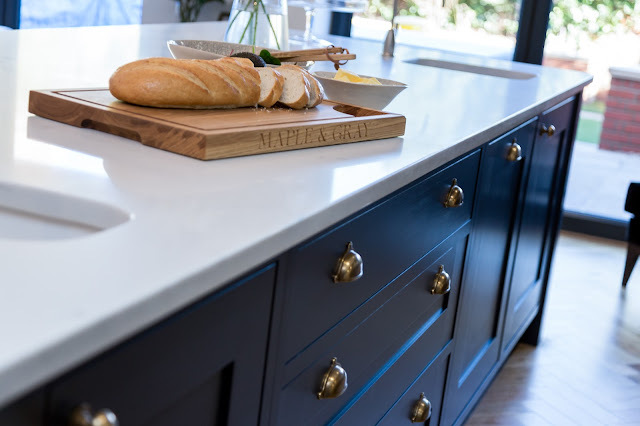 The dark blue cabinetry works beautifully with the marble effect quartz worktop and antique brass handles. 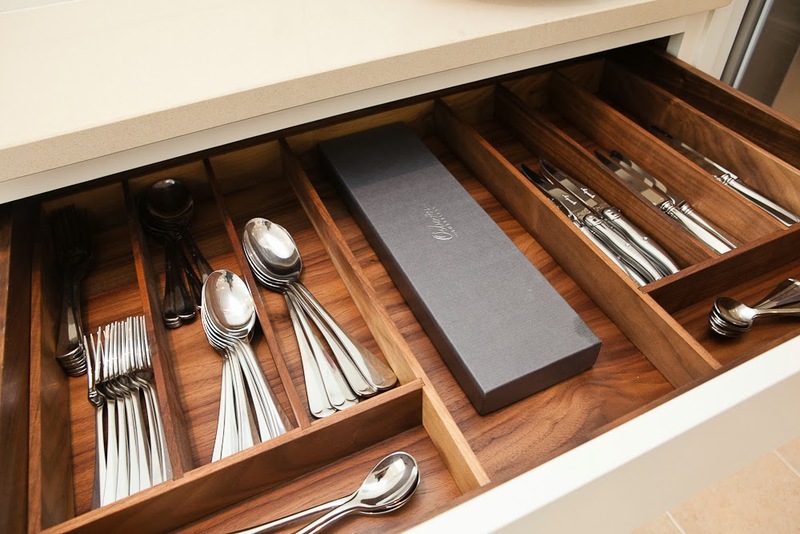 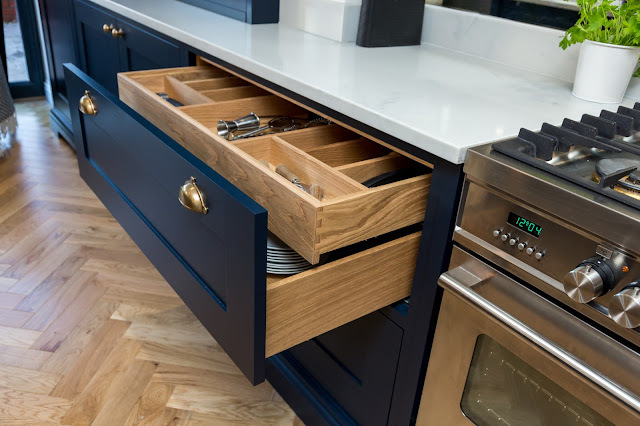 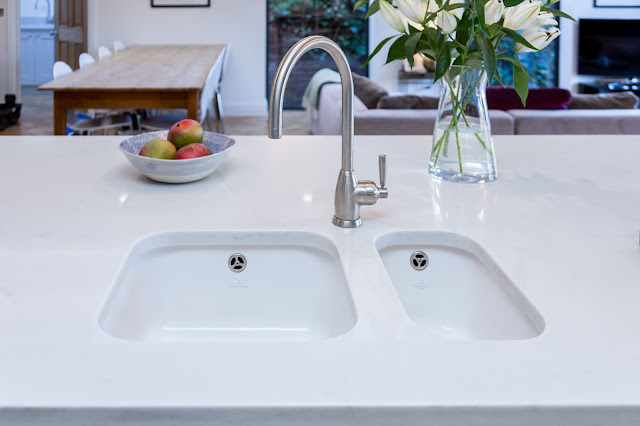 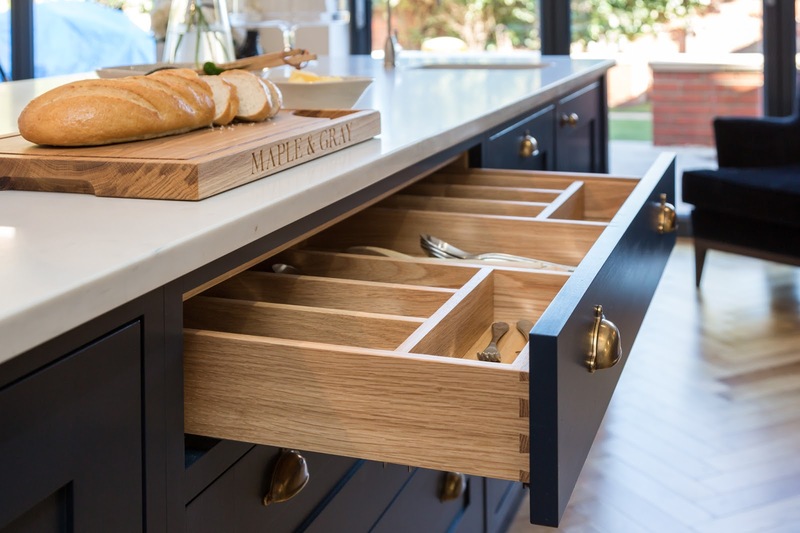 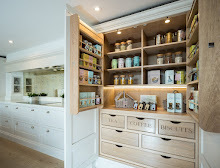 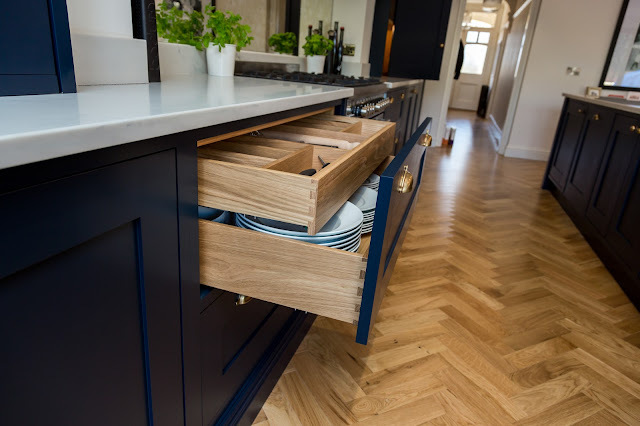 The kitchen has oak interiors and bespoke features such as dove tailed drawers and solid wood cutlery inserts. 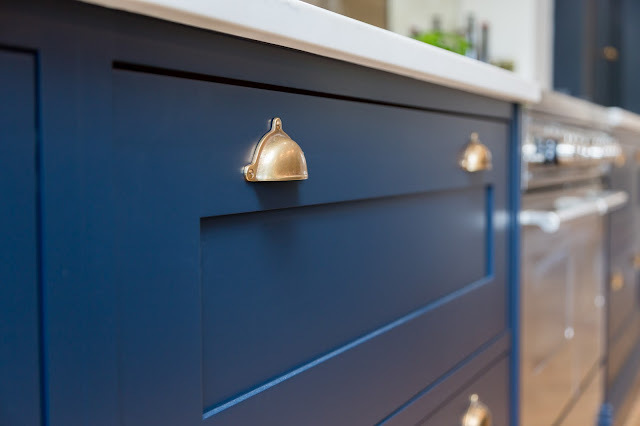 The bronze antique mirrored splash back ties in beautifully with the brass details elsewhere in the kitchen. 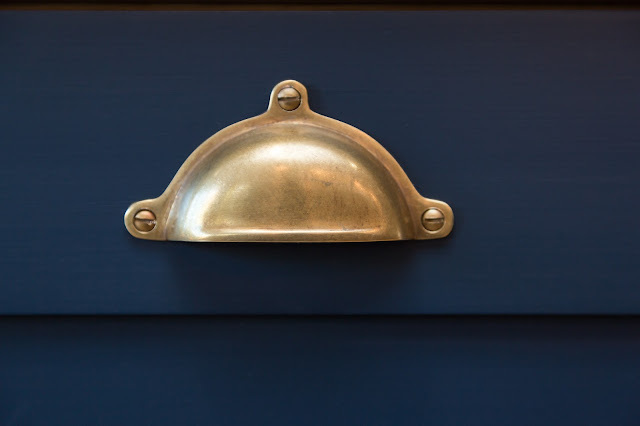 We absolutely love these beautiful hand made bowls from Wonki Ware. 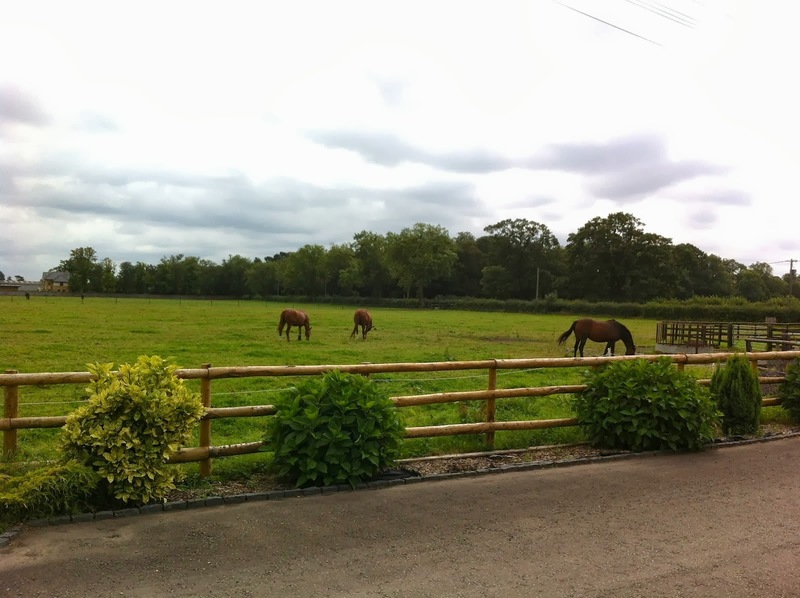 We can't get enough of them!